At the last Sound Meditation Group via Instant Teleseminar, I took the group on a journey up inside the Crystal Pyramid over Denali in Alaska. The following is a brief explanation of how I learned this technique and a script for the journey. At the end of the post is a special treat. On August 8, 2008, the Ashtar Aurora Eagles group in Anchorage, Alaska, went to Denali (Mt. McKinley) to activate the crystal pyramid that had been placed in the etheric realm over the mountain. 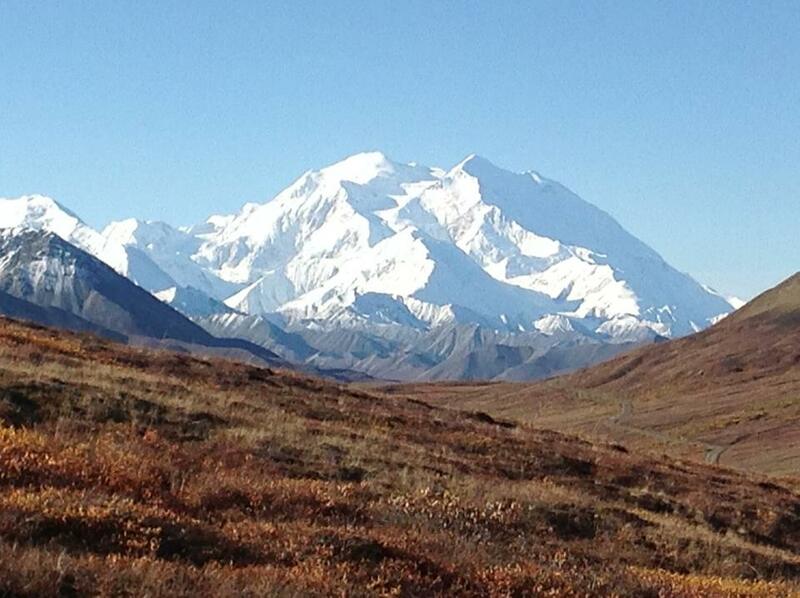 I was a part of the group, but I was not physically present with the group in Denali. I was in Barrow at the top of the world completing meetings for a new job in Point Hope. From Barrow, I tuned into the group energy when I knew they would be starting their ceremony. Immediately, Lord Sananda, previously on earth as Yeshua ben Joseph, merged with my energy field and told me that I had my own special part to play in the activation of the pyramid, that was related, but not the same as the rest of the group. I will share with you below the steps that Sananda took me through on my journey within the crystal pyramid itself. During the ensuing year, Sananda asked me to repeat this same process at least one time a week for the following 3 months, then as I felt called to do it for the remaining year. Be seated comfortably with feet on the ground and back straight, or lie down. Close your eyes to shut out the distractions of the outer world. Begin several slow deep breaths to calm your mind and your heartbeat. Feel your energy body lifting up, ready to travel to the higher dimensions. Now you find yourself at the base of a huge crystal pyramid superimposed over the mountain in Alaska called Denali. As you see the door in the base of the pyramid open, you go inside. There are steps going up the left side of the door. You travel up the stairs and come to a platform outside the door to the queen’s chamber. There is a walkway connecting with the stairs that continue on up to the king’s chamber, but halfway there you notice 5 steps going up to a small chamber that lies between the queen’s and king’s chambers. This is the Christ Chamber. You move up the steps and enter the door as it magically opens for you. In the middle of the room is a chair. You walk over and sit in the chair placing your back firmly on the back of the chair and your arms on the arms of the chair. It is a perfect fit. As you sit, you notice that the room begins filling with a white-gold light. This is the Christ Consciousness light. You open your own energy body to be filled with this light. You allow it to permeate all of your energy bodies and every cell of your physical body. Open your crown chakra and allow the light to flood into all of your energy systems. When you feel that you have absorbed all the light you can, you float upwards, up to the capstone of the pyramid. Just beneath the apex of the capstone is a crystaline cap. You float up so that your head, the crown of our being fits perfectly into the cap. This cap is connected to the planet’s electro-magnetic grid system. As you engage the cap, the white-gold Christ light that you have collected is sent out into the planetary grid. When all the extra light that you collected in the Christ Chamber has been dispersed, you return to the Christ Chamber to repeat the process. Each time your capacity to hold and collect more Christ light is increased. You may repeat this process Of dispersing the Christ light into the planet’s grid in increments of five. When you reach your sixth sit-down in the chair of the Christ Chamber, you fill all your energy bodies and physical bodies as before, but this time you keep the white-gold light of the Christ for yourself. As you leave the Christ Chamber just outside the door, you bow to the Christ energy that you ARE. As you find yourself back down the stairs and outside the crystal pyramid, you know that you can come back here to do planetary service and re-charge yourself whenever you want. Gently return your consciousness to your physical body. Take three deep breaths and begin to wiggle your toes and your fingers, allowing yourself to return completely at your own pace. The Treat: Click link below to listen to the recorded journey, and then leave me a comment below on your experience. I really do want to hear from you. ← Welcome to Heart of the Mother Healing’s Blog!